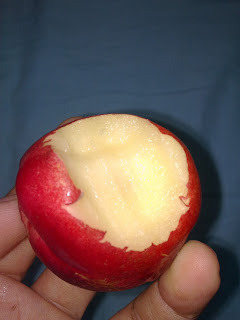 I love eating fruits, especially while blogging. 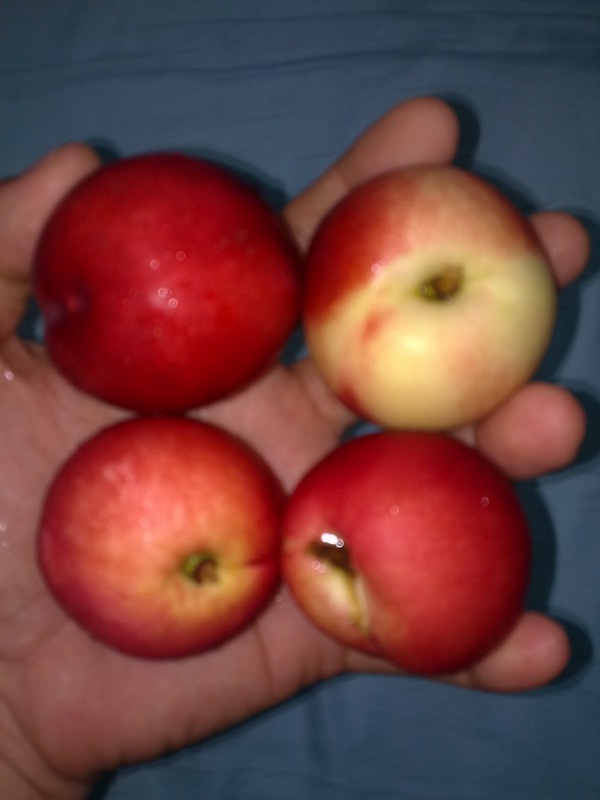 Yesterday, the fruit that I bought from the Fairprice were the Australian White Nectarine. This fruit has two color tones which is red and yellow. Some are fully colored red with a touch of yellow, maybe few percent is covered. Look at the picture of it. This costs S$5.45 (P180.00) for 10 pieces. It looks and tastes like peaches.